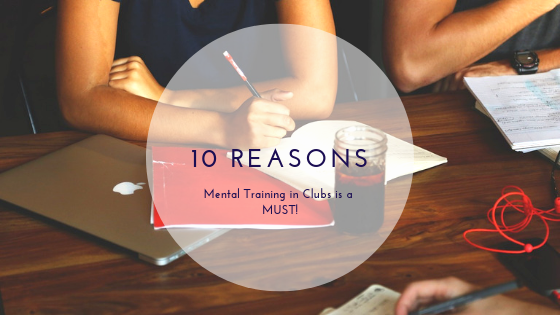 10 Reasons Mental Training at the Club Level is a MUST! Since the Canadian National Championships I recognize the importance of pursuing the mission to make mental training part of every athletes off-ice routine. The need to take a preventative, proactive approach to mental training, making it accessible to all skaters from beginner to elite, is a true investment. It normalizes mental training and makes it more easily accessible. The skater no longer feels like she/he is alone in her/his thoughts and emotions dealing with pressure. It produces skaters who are connected to their thoughts and feelings. It helps skaters become more brave. It produces skaters who can better communicate their needs. It focuses on building the WHOLE athlete: mind, body, and spirit. It improves skater’s ability to focus. The skater learns coping skills for dealing with injury and time away from the ice. It builds a more resilient athlete who can cope with failure and set backs. My ambition is to conduct Sport Specific Mental Training Workshops in person at your club. Meeting and connecting with your athletes in person, teaching the fundamentals of mental training, is a great way to build connection to do great work together. Next, the club will invest in and include mental training as part of their already scheduled seasonal off-ice program. Sessions will bel conducted via video conference with the group of skaters. Providing skills to athletes at the beginner stage will help prevent future problems from occurring at the elite level, when the pressure is heavy and a lot is at stake.